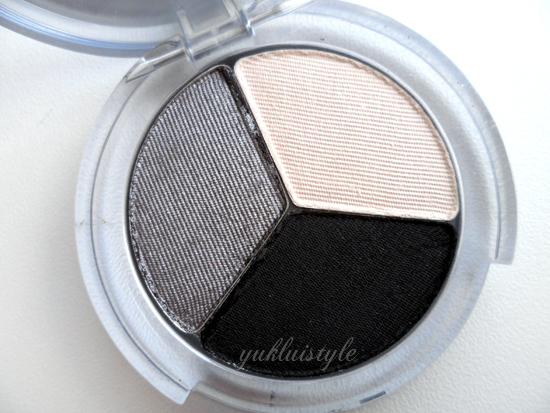 I have created two different smokey eye looks using this trio. 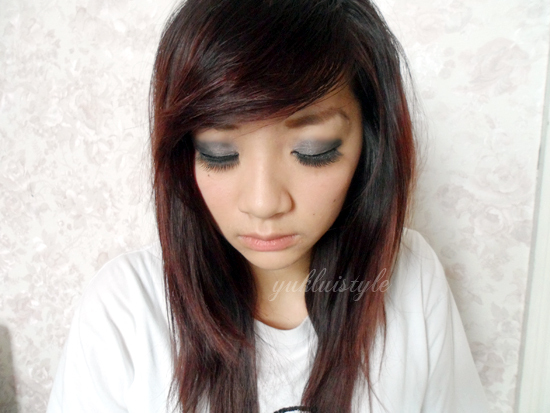 Looking at the three eyeshadows, this is best suited for the evening looks. It consists of 2 matte shades, black and white and a pearl silver. I used the white as the base, silver for shading and black for definition. 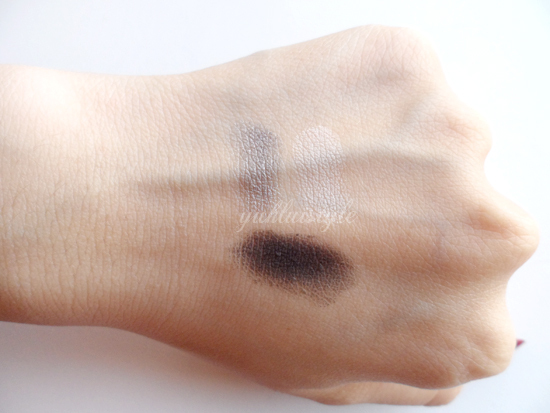 I quite like the pigmentation of the silver however am disappointed in the black as it seemed like it’d be very pigmented from looking at the pan. They do some lovely neutral trio combinations if you’re looking for the natural look. This applied smoothly and is easily blendable. Great thing about trios is that the colours compliment each other so you do not have to worry about whether they’ll match or not. No creasing or fading after a night out in town. Has quite a bit of fall out so make sure you tap off the excess beforehand. From what I have read online, this has firming ingredients to create a smooth finish by plumping the skin. An interesting concept new to me. Still early days for me to have any notice. 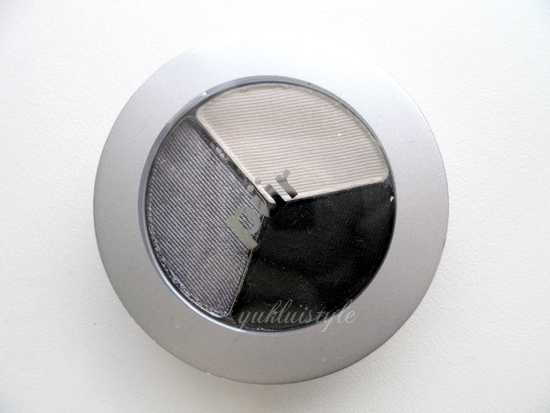 It is also talc free and is suited for sensitive eyes without irritating them. I don’t find anything special with this eyeshadow. It’s just another eyeshadow in my makeup collection. It’s not what I had expected with the pigmentation yet I’m not totally disappointed. Have two new shades/finishes to add to my collection. You can purchase this in Marks & Spencer instore and online. You can also purchase it on their official website if you’re outside of the UK. Marks & Spencer have a Pür Minerals offer starting today. Purchase any two products, receive a trio eyeshadow free. Take advantage of it if you want to try out their products! More details below (click to enlarge). Have you tried any Pür Minerals product? I have to admit that I couldn't wear your quad, but the pink one and the neutral ones are more into my eye. 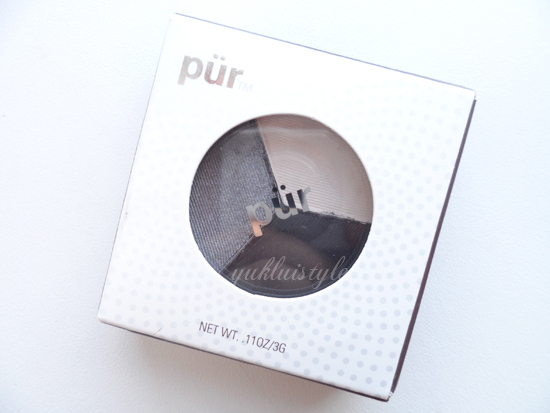 I've tried some of the Pür Mineral items at an ULTA store. What I do like is that they appear pigmented on your eyes. Not a bad line, really. Not always my cup of tea. Never really would go for makeup that claims to have some sort of beauty altering effect (i.e. plumping skin or something of the like), just because it's just a textually gaudy gimmick, you know. But hey, if it ends up working out, let us know, of course. This is a nice product for ladies at it gives 3 different shades for the eye lining.